The DEA and FBI are aggressively bringing pill mill charges against physicians, pharmacists and other medical professionals who are involved in the treatment of patients suffering from chronic pain. Our firm has successfully represented a number of doctors in these so-called “pill mill” cases across the country. We have helped doctors avoid felony charges in alleged “pill mill” cases, and have won “not guilty” verdicts for other doctors who were facing criminal charges for unlawfully prescribing or over-prescribing controlled substances. We understand how the Government tries to use federal drug conspiracy laws that are designed to prosecute street-level drug dealers to go after healthcare professionals who work in pain clinics. We also understand the complicated medical evidence in these cases, and we have developed relationships with top medical experts who help us explain to the Government or a jury how our physician clients are lawfully and legitimately practicing medicine. Law enforcement agencies, and now the media, use the term “pill mill” to refer to a medical clinic or doctor’s office that is accused of distributing pain medication (usually opioids) without a legitimate medical purpose or outside the usual course of a professional medical practice. Simply put, the Government believes that a “pill mill” is more concerned with making money than with helping patients. In deciding whether to target a clinic or doctor’s office in a “pill mill” investigation, law enforcement agents often look for “red flags” that they believe suggest a medical clinic is operating as a “pill mill.” But these so-called “red flags” can also be perfectly legal activity. For instance, if a pain clinic has a lot of younger patients travelling from long distances, the Government may suspect it is a “pill mill.” Of course, chronic pain patients are both young and old. And, thanks to the DEA’s tactics in these cases, legitimate chronic pain patients are having great difficulty getting treatment closer to home. Many doctors are now reluctant to prescribe any narcotic pain medication because they are afraid they will be the next target of an overzealous DEA. The result of the DEA’s aggressive pursuit of pain clinics means that there are fewer pain clinics in the country, while the number of patients with chronic pain is growing. Medical clinics that charge relatively high fees and accept mostly cash may also be targeted as a potential “pill mill,” despite the fact that there is nothing illegal or unethical about accepting cash payments for medical treatment. Doctors who prescribe a lot of Oxycodone, Hydrocodone, Fentanyl, Morphine and other Schedule II narcotic drugs will always get the attention of the DEA. Sometimes the Government will suggest that the sheer number of narcotics and/or the combination of drugs prescribed by the doctor (especially the “holy trinity” combination of opiods, benzodiazepines and carisoprodols) point to a “pill mill.” We disagree with this analysis because doctors are legally authorized to prescribe whatever medication in whatever combination they think is best for the patient. It’s not a “pill mill” just because the doctor prescribes a lot of pain medicine. Prescribing medication to treat chronic pain is a legitimate function of a pain clinic. When the Government thinks a medical clinic may be operating as a “pill mill,” the DEA, FBI or other law enforcement agency will launch an investigation and obtain the physicians’ prescription records. The Government will then ask its paid “experts” to review the doctor’s prescribing habits. These “experts” will almost always disagree with the doctor the Government is targeting. One or more of these paid “experts” will give the Government a short report saying that the targeted doctor was prescribing too many narcotic pain medications or using the “wrong” combination of drugs. The Government may also try to track down patients of this doctor to see if they are getting drugs from other sources or have criminal records. With this information, the Government could simply go talk to the doctor and ask him or her about the patients in question or perhaps bring in the state medical board to review the doctor’s decisions. Instead, the Government ignores the doctor and the state medical board and usually begins a secret undercover investigation. The Government will instruct law enforcement agents to literally hide in the bushes and watch the clinic for many months. They will take photographs of the patients arriving at the clinic and record their license plates. Many times, they will instruct local police officers to harass and arrest patients of the clinic. In some of our cases, law enforcement officers have attempted to bribe and intimidate former employees or patients of the clinic trying to get them to undermine the doctors and clinic owner. In many cases, the Government will also send in agents pretending to be legitimate patients suffering from chronic pain. The agents will routinely lie to the doctors about their condition and symptoms in an attempt to trick the doctor into prescribing narcotic pain medication. Of course, the agents will later claim that there was no legitimate need for the pain medication because they were not in any pain. In many cases, the Government will also try to hold the doctor and clinic responsible for patients were abusing or selling (diverting) the pain medication they received from the clinic. Of course, the doctor is usually completely unaware of this illegal activity. These investigations will often take over a year to complete and are concluded when the Government raids the medical clinic and, usually, arrests the doctor and any other clinic owner. Sometimes other employees will also be arrested. At the same time, the Government will freeze bank accounts and seize whatever money they can find. This often includes not just the clinic’s legitimate bank accounts, but also the personal assets of the doctor or clinic owner. Our lawyers have been very successful in defending doctors and other healthcare professionals charged in “pill mill” investigations in federal courts across the country. In our experience, the only way to successfully defend these cases is to spend the time and money necessary to secure expert medical testimony that the prescribing practices of our clients were legitimate and lawful. When we are hired to defend a doctor or other healthcare professional in a “pill mill” case, we immediately gather all of the evidence in the case including the relevant patient records. We reach out to well-respected medical experts that we have worked with in the past to review the records and the Government’s “expert” opinions. We then work closely with these experts to show that the doctor we are representing was prescribing narcotic pain medication for a legitimate medical need and was not a drug dealer. We also interview all of the Government witnesses to determine if they have any bias or improper motives in testifying against our client. In many cases, the Government has obtained the cooperation and assistance of disgruntled former employees of the clinic or medical practice who then provide information that is simply not credible and is intended only to tarnish the reputation of our clients. While there are certainly some pain clinics and doctors who have historically over-prescribed narcotic pain medication without a sufficient medical examination, we believe that the Government is now going after experienced and credentialed doctors who are often board-certified and trained in the treatment of chronic pain. In our opinion, the Government is no longer just interested in putting criminals out of business. Instead, the Government is trying to push an agenda to keep physicians from prescribing narcotic drugs for chronic pain patients. And it’s clear that the Government will use the threat of criminal prosecution to accomplish this goal. In recent “pill mill” cases, the Government has been trying to hold doctors responsible for patients who abuse the medication to such an extent that they overdose and die. The Government will charge the doctor with these patient deaths even if it was completely unforeseeable to the doctor that the patient would disregard the doctor’s dosage instructions and overdose on the drugs. These “death cases” carry stiff sentences. If a doctor is convicted of prescribing pain medication without a legitimate medical purpose, and the patient later overdoses on those drugs and dies, the doctor faces a mandatory minimum sentence of 20 years in prison and may be sentenced up to life behind bars. These charges are often added to the drug conspiracy charges in “pill mill” cases to intimidate doctors and other healthcare professionals to plead guilty. When we are defending against an allegation that our client is responsible for a patient who overdosed on pain medication and died, we will retain expert pathologists and toxicologists to determine if there were other contributing factors to the patient’s death. If we can show that the patient who abused the medication would have died regardless of whether our client prescribed the pain medication, then the doctor is not criminally responsible for the patient’s death. In addition to defending the doctor or other healthcare professional on the criminal charges, we act quickly to contest the forfeiture of our client’s money and property by the Government. In almost every alleged “pill mill” case, the Government will try to seize bank accounts, business assets and even personal property like the doctor’s home. 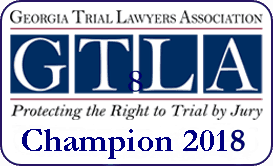 If the lawyer defending the doctor or clinic owner does not move quickly to file a claim contesting the seizure, then the property may be forever lost to the Government even if the doctor or other person charged with the crime is later found “not guilty” at trial. 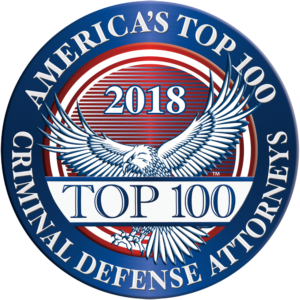 We are one of only a very few law firms who have won civil forfeiture trials in federal court, and we have been able to get our clients’ money and property returned to them after the Government has failed in its attempt to prosecute our clients on drug conspiracy charges. Defending doctors, nurse practitioners, pharmacists and other healthcare professionals in “pill mill” cases can be extraordinarily difficult. Fortunately, our lawyers have been successfully representing doctors and other professionals in these cases for the past five years. While most of our clients contact us as soon as they think they may be a target of a “pill mill” investigation, we are also frequently hired by healthcare professionals when they have become dissatisfied with their current lawyer because the lawyer is either not very experienced in defending federal drug conspiracy charges or the lawyer has not been giving the client the time and attention he or she deserves. When we are hired in this situation, we can either assist the client’s current lawyer or take over the case completely, depending on what is best for the particular client. We also help people who may be experiencing the stress of a federal criminal case for the first time and would like a “second opinion” about the strength of the government’s case. We can share our expertise with the client and the client’s current lawyer and help them make what is often a life-changing decision about accepting a proposed plea agreement or taking the case to trial. In addition to helping our clients win favorable resolutions or “not guilty” verdicts in “pill mill” cases, we also assist clients in criminal appeals, sentencing hearings and grand jury investigations involving related allegations. If you or someone you know is currently involved in a “pill mill” investigation or prosecution, or has been charged with unlawfully dispensing dangerous drugs, give us a call and we will let you know if we can help.